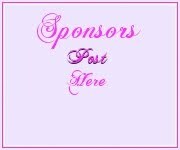 2017 ~ A one stop solution for A to Z of events! 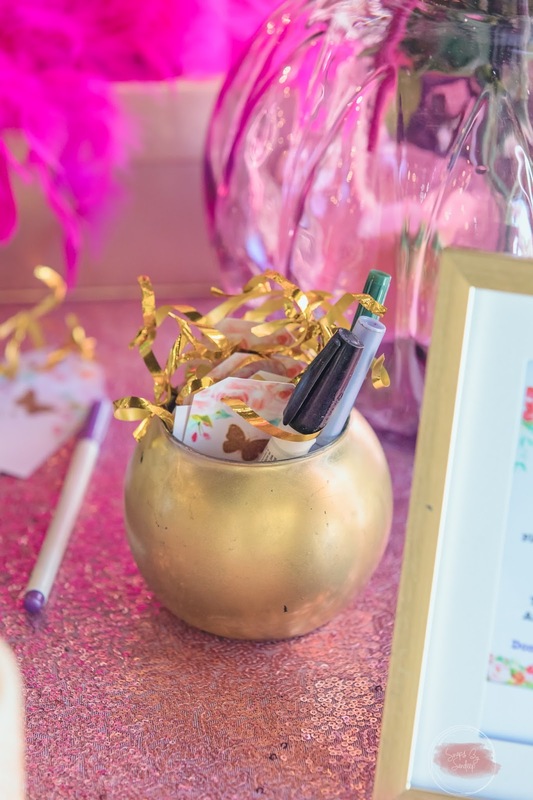 A Non Traditional Rose gold Thanksgiving Ideas! 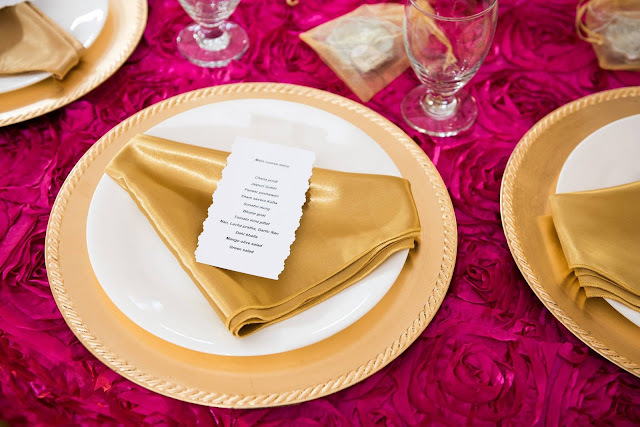 When it comes to holidays and traditions, it's pretty hard to beat Thanksgiving. 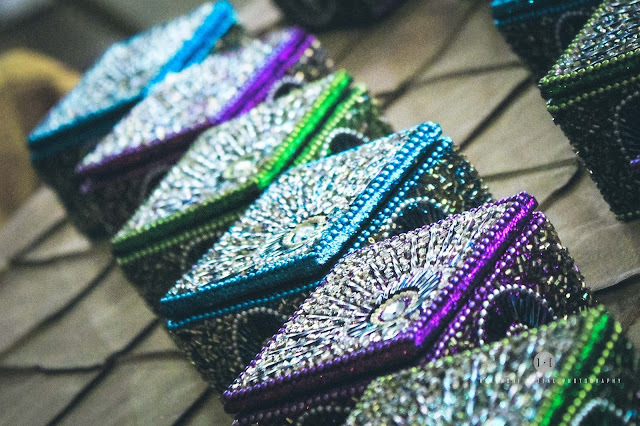 It joins together all the festive vibes, delicious food, and time spent with family and friends that you get at Christmas, but without the stress of gift-giving.What better time to try you non traditional colors and set up ? Rose gold is more sutler and pairs with any decor.Some ideas to incorporate this color both in table decor and home . 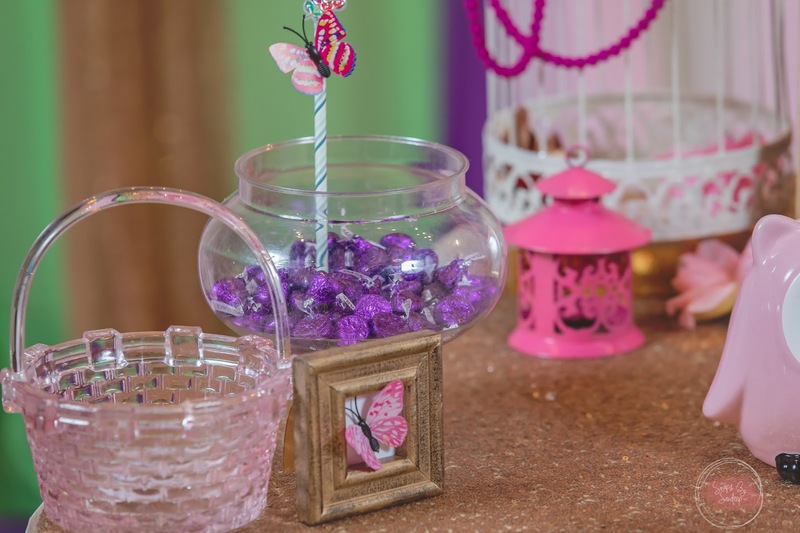 I saw these colors even in dollar store ,so you can easily DIY and have fun!! Some of my fav list to die for !! 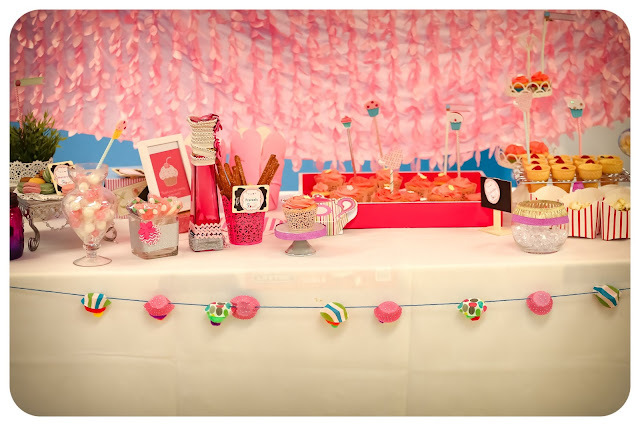 Party supplies or table set up at amazon! 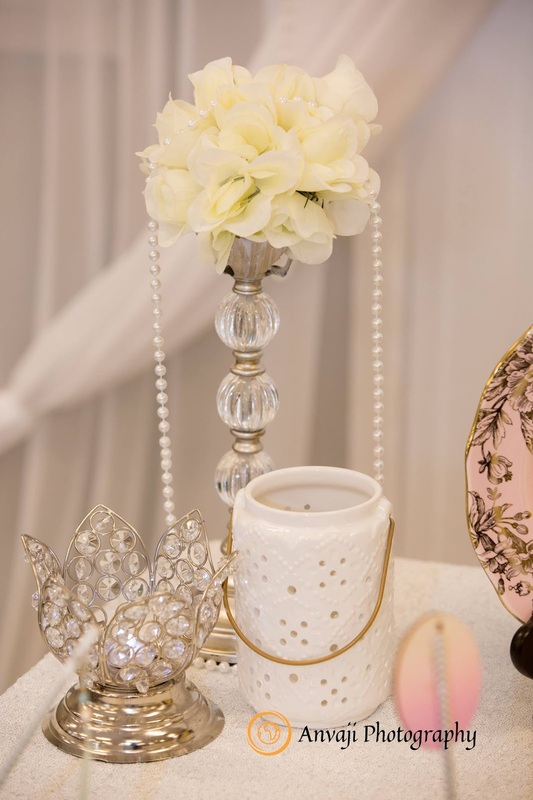 Serve you guest with the champagne in this beautiful flute from Joss & Main. 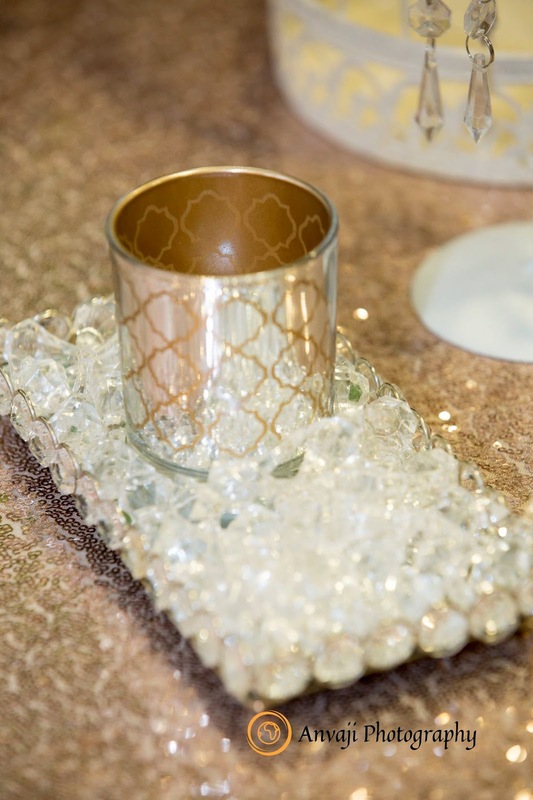 Lovely Shimmer Rose Gold Glass Platter-Charger Plate from Crate and Barrel. 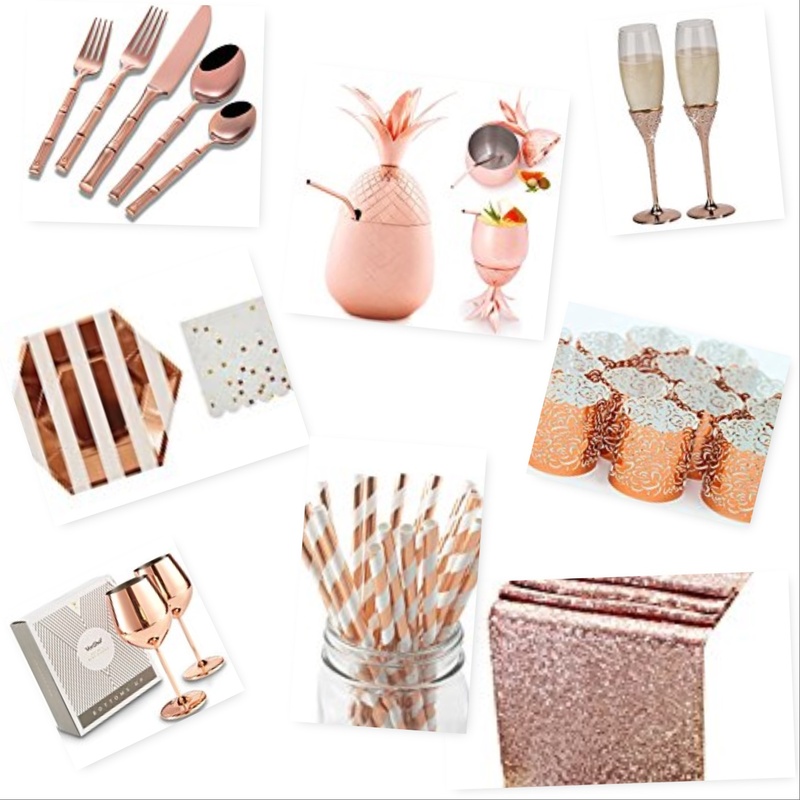 Copper Handled Flatware Set from potterybarn. 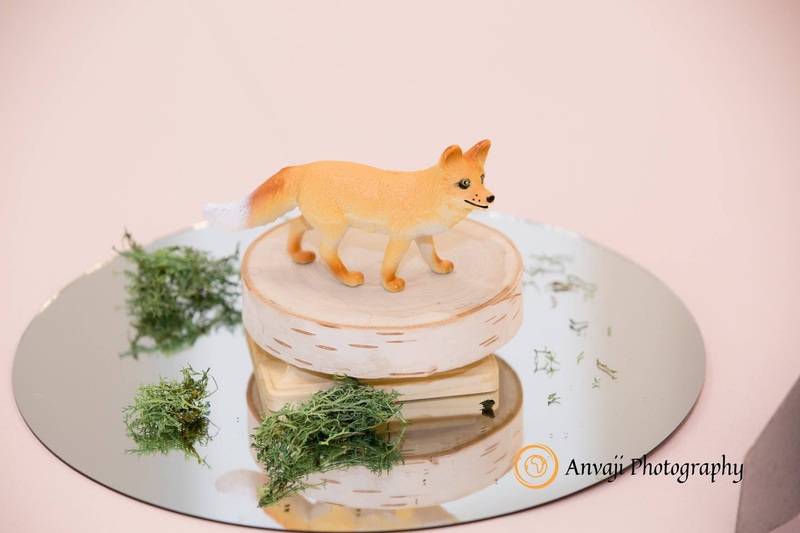 Keep your dining table protected while maintaining a festive Fall air with a Pumpkin Trivet. 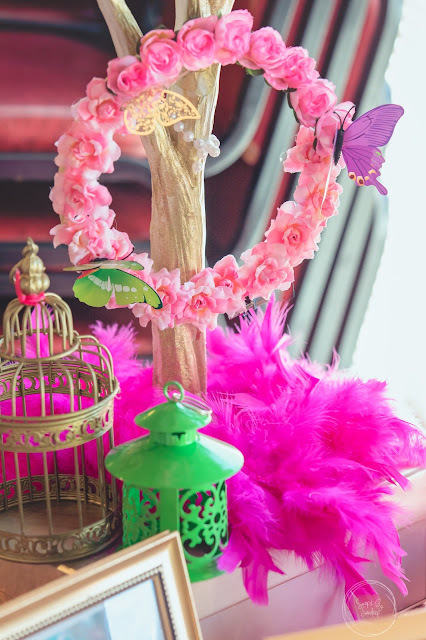 HACIENDA CANDLE HOLDERS from grandinroad too! 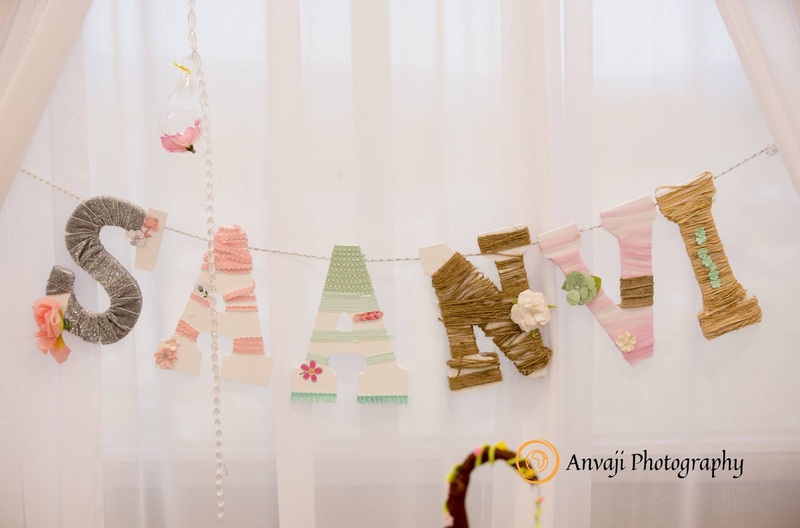 Enjoy you thanks giving with family and friends! 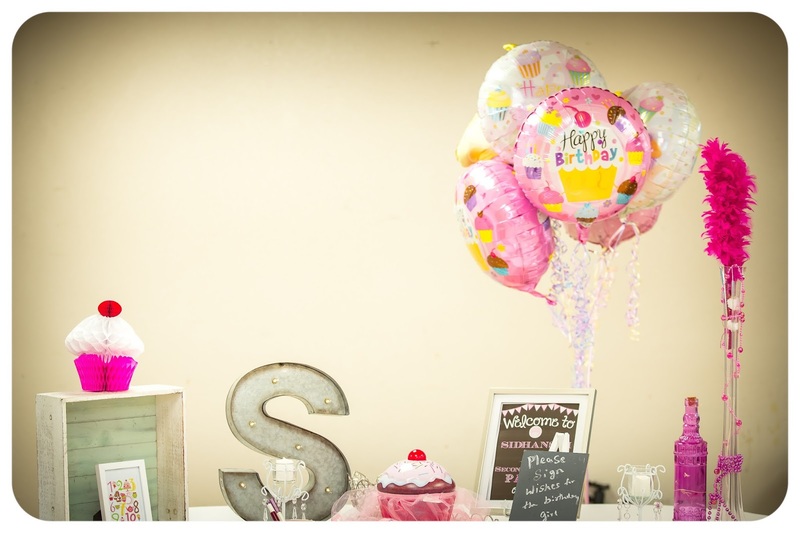 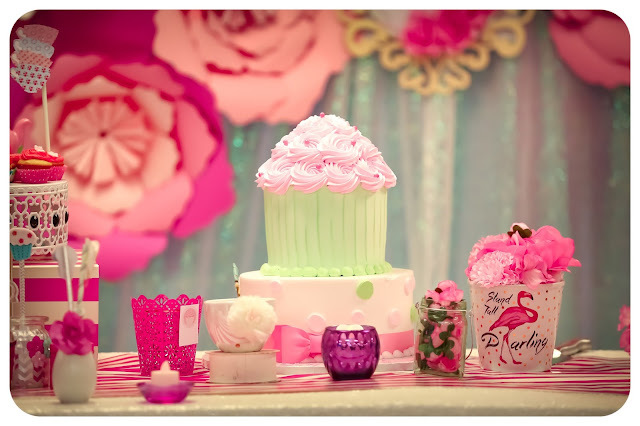 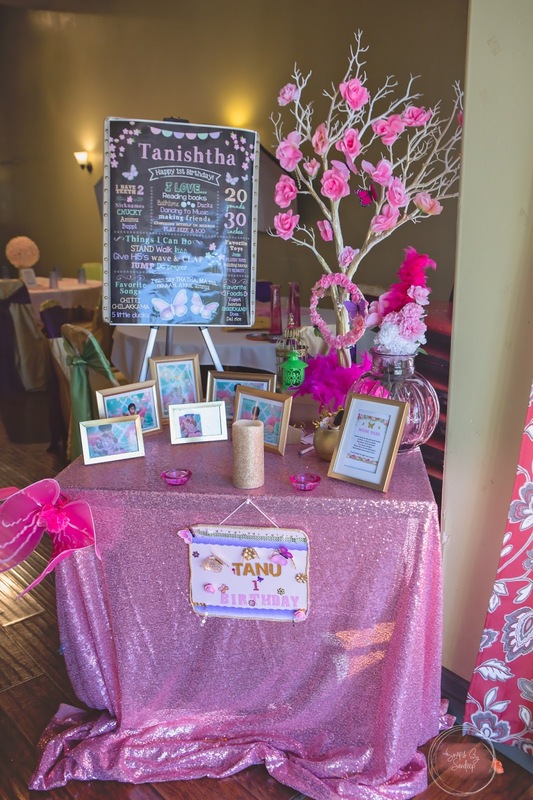 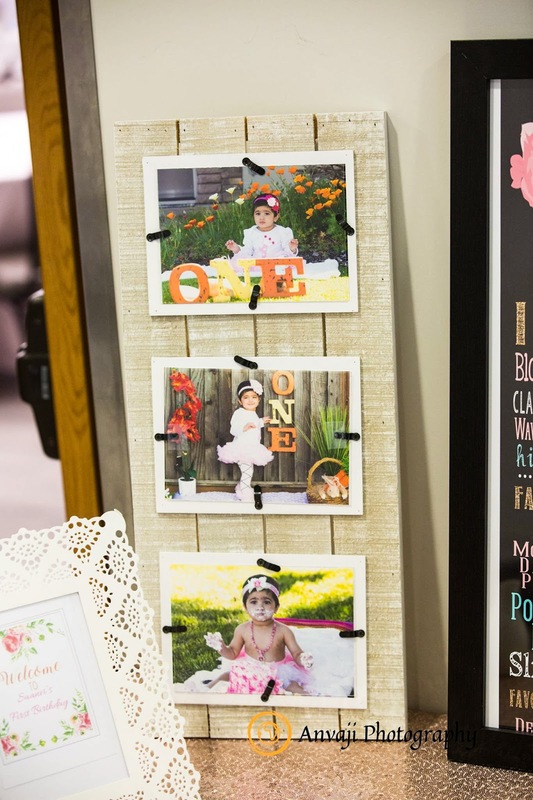 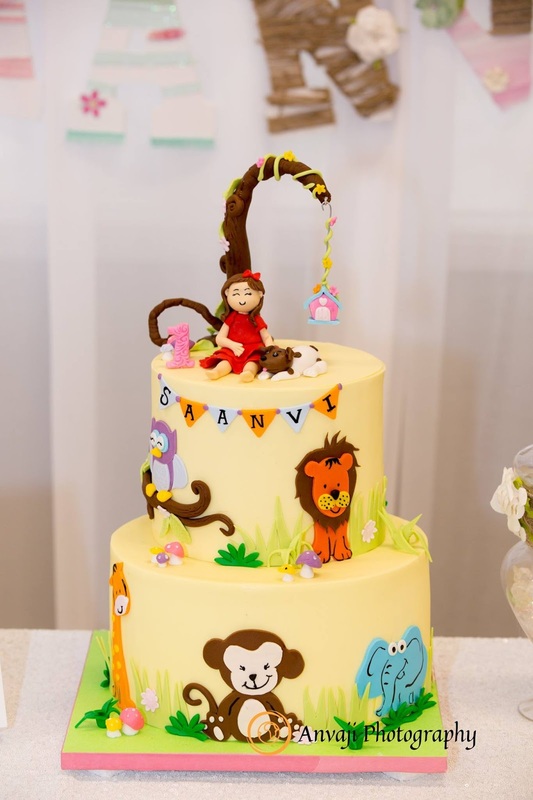 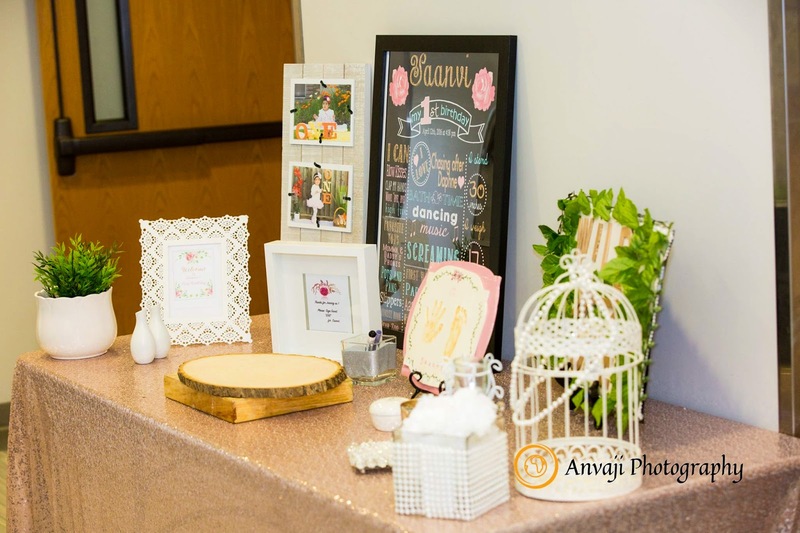 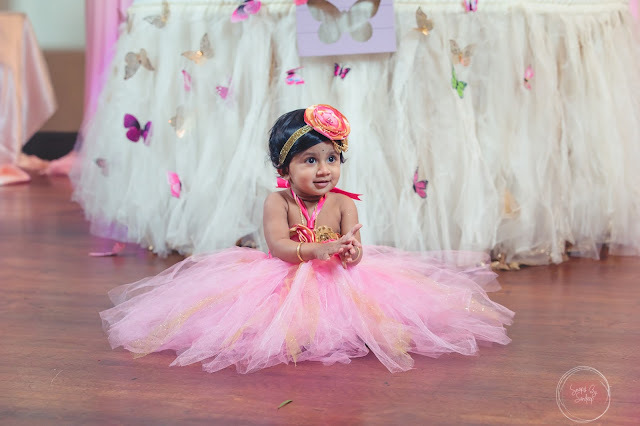 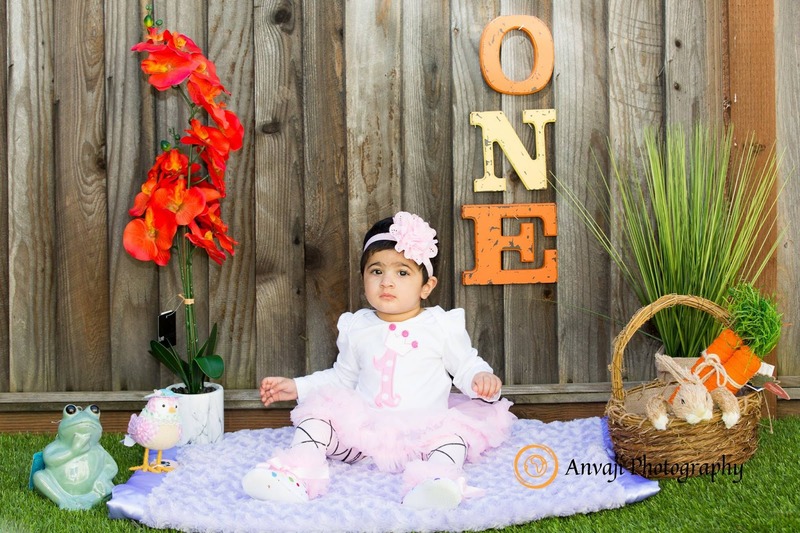 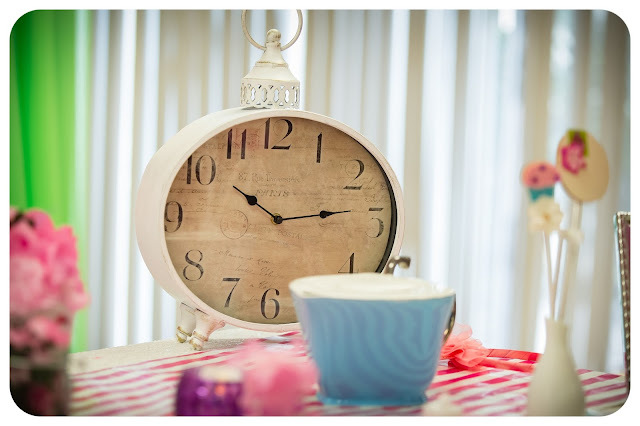 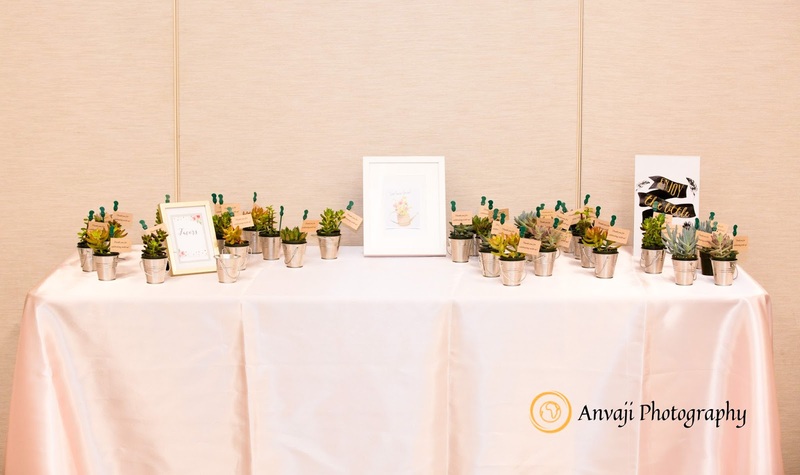 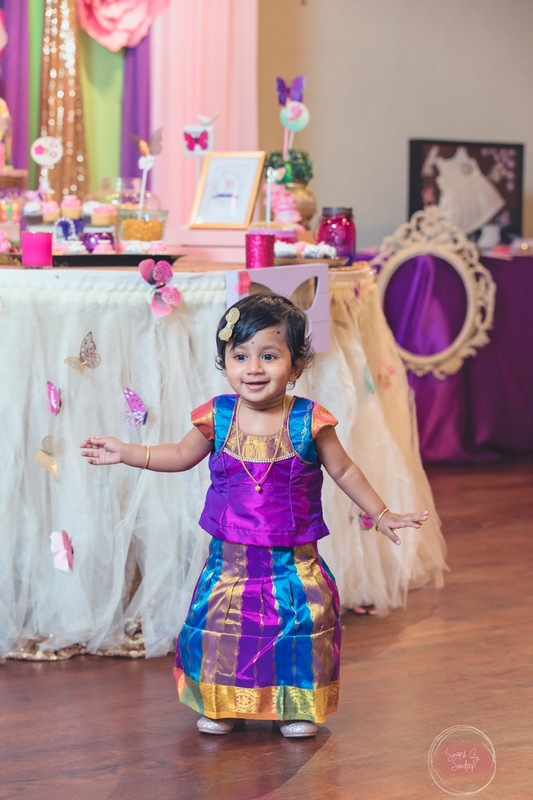 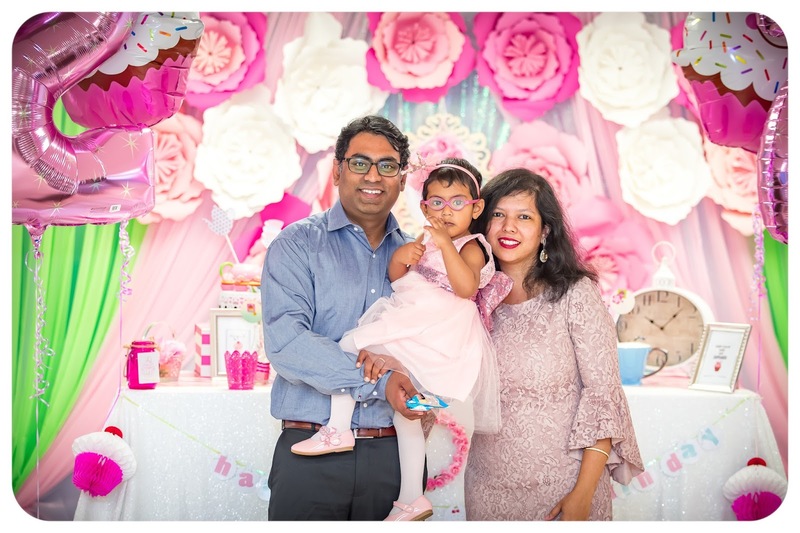 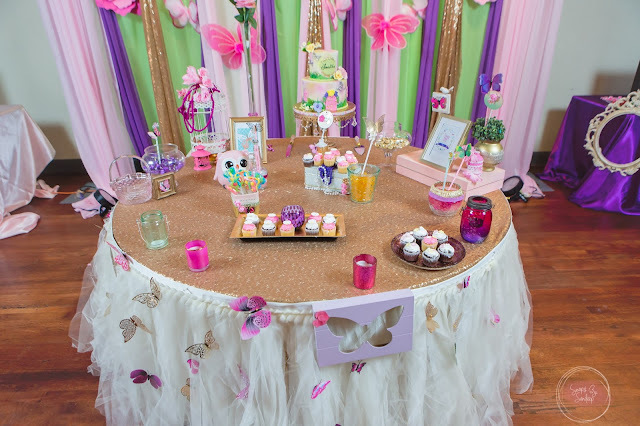 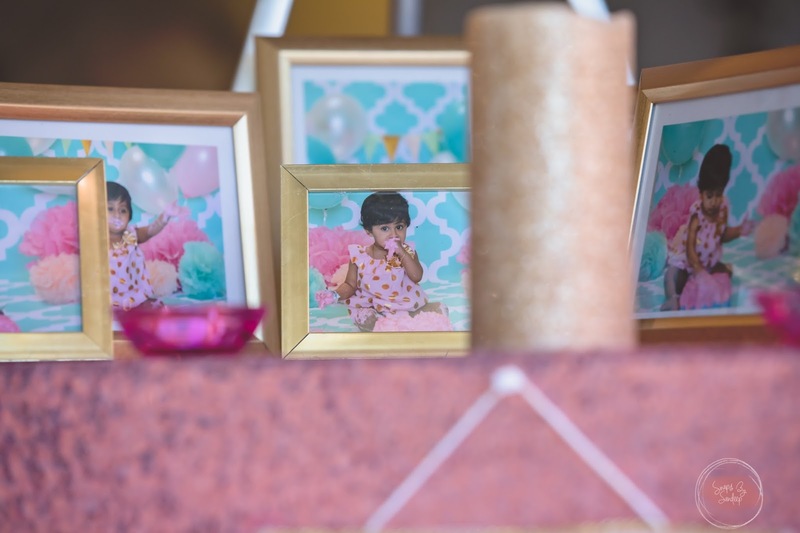 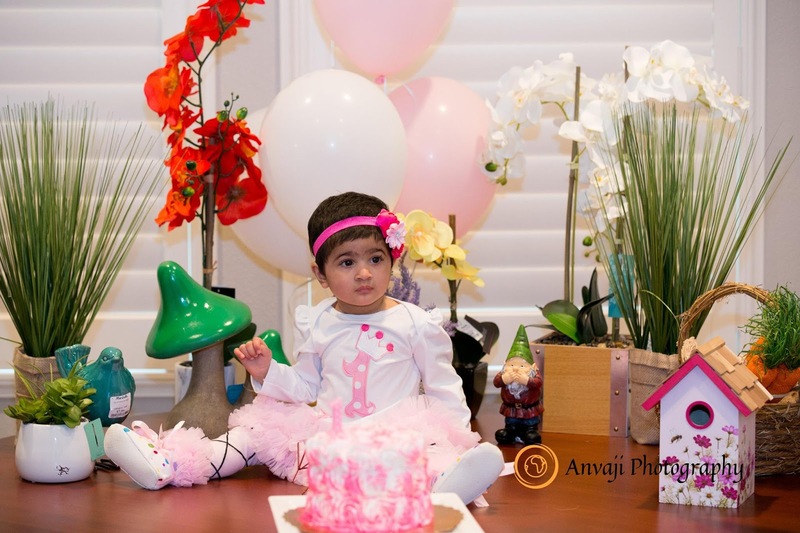 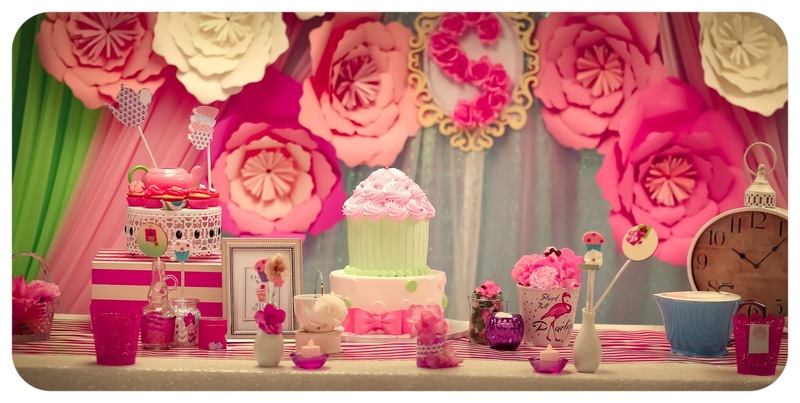 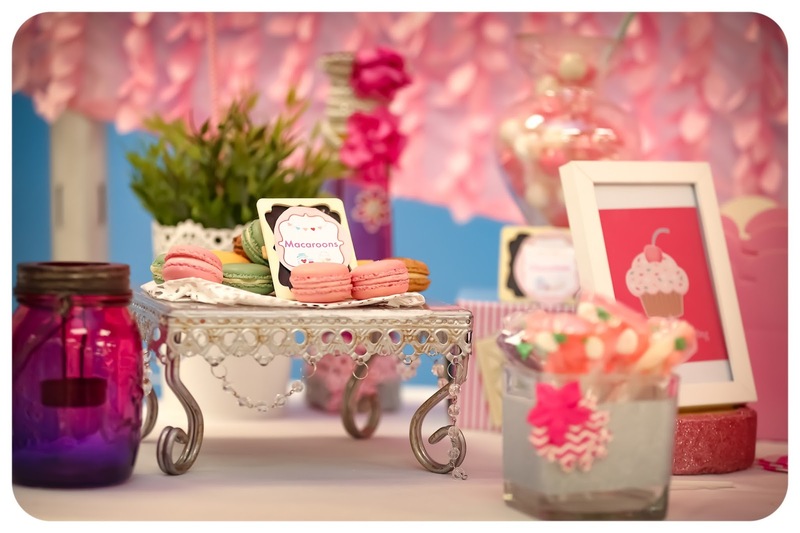 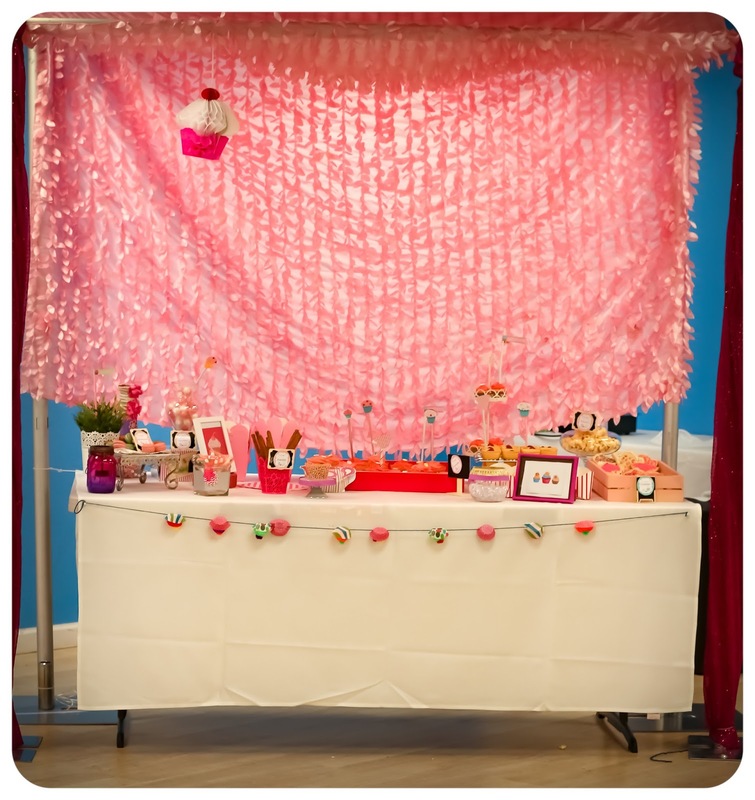 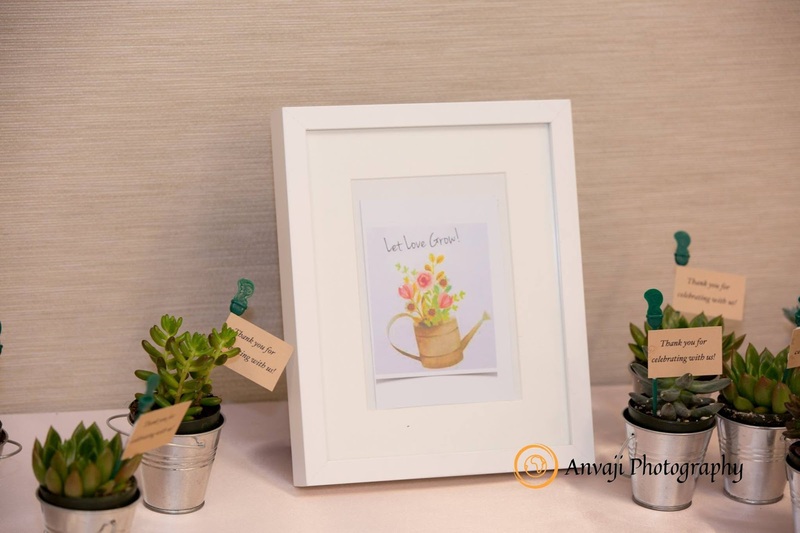 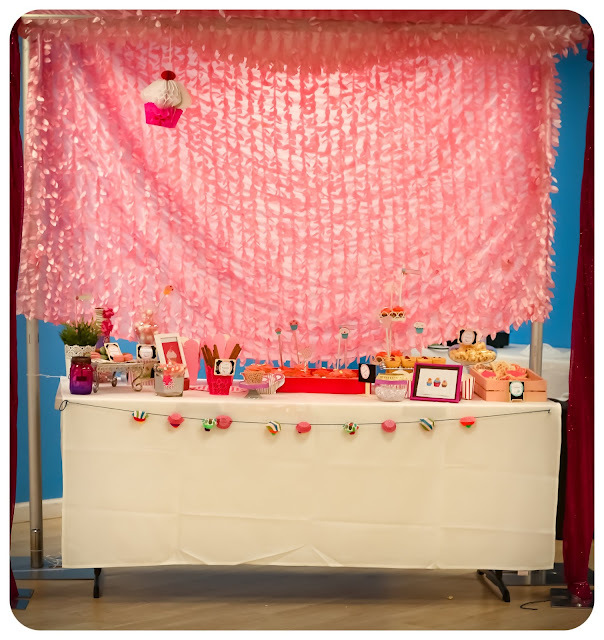 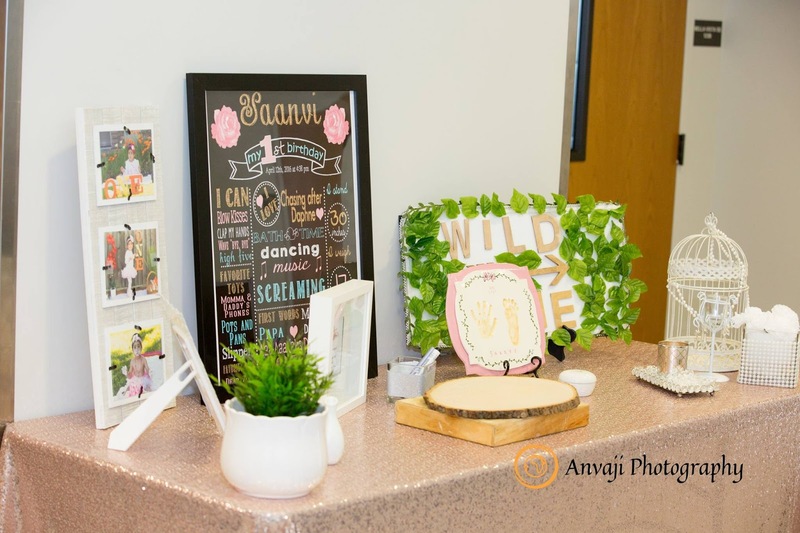 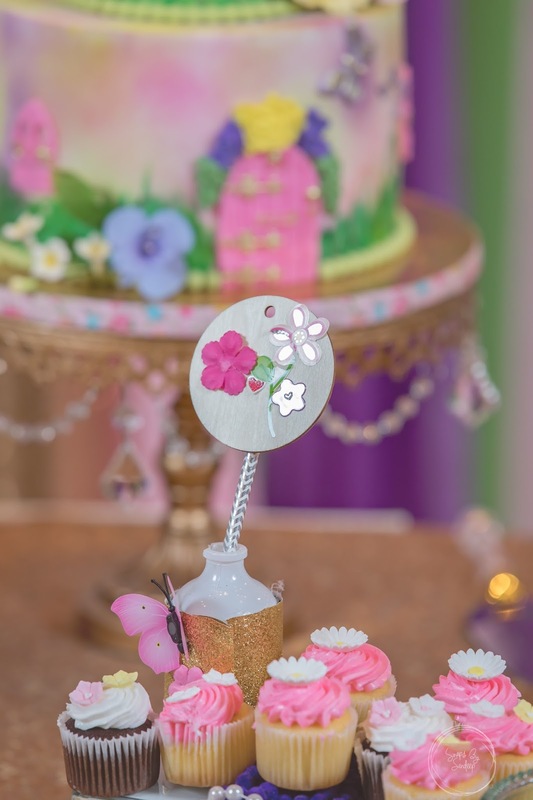 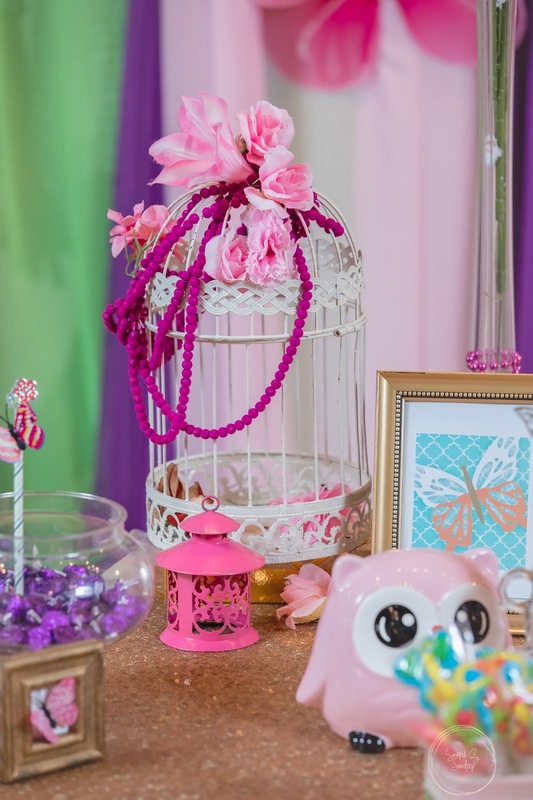 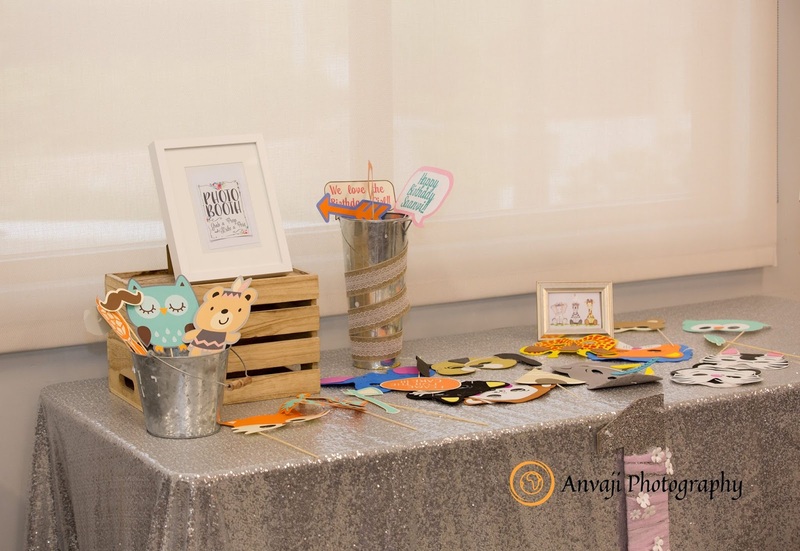 A few weeks back, I had the opportunity of decorating little Tanu’s first birthday party. 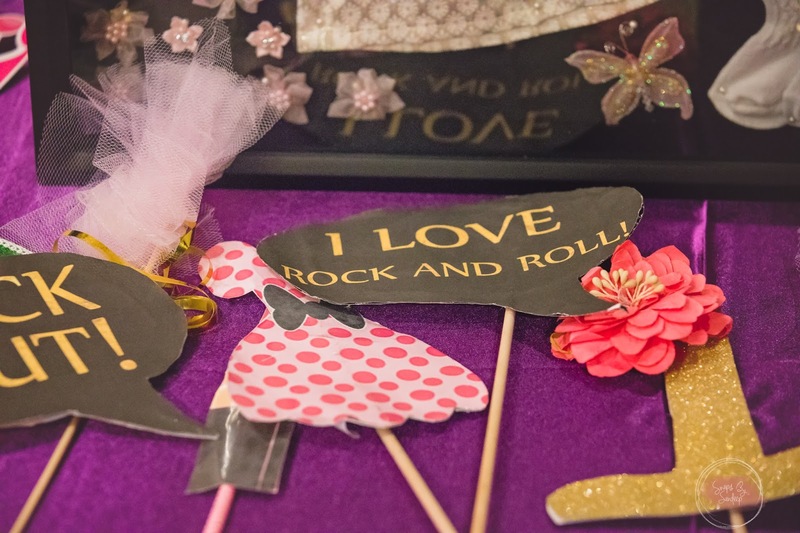 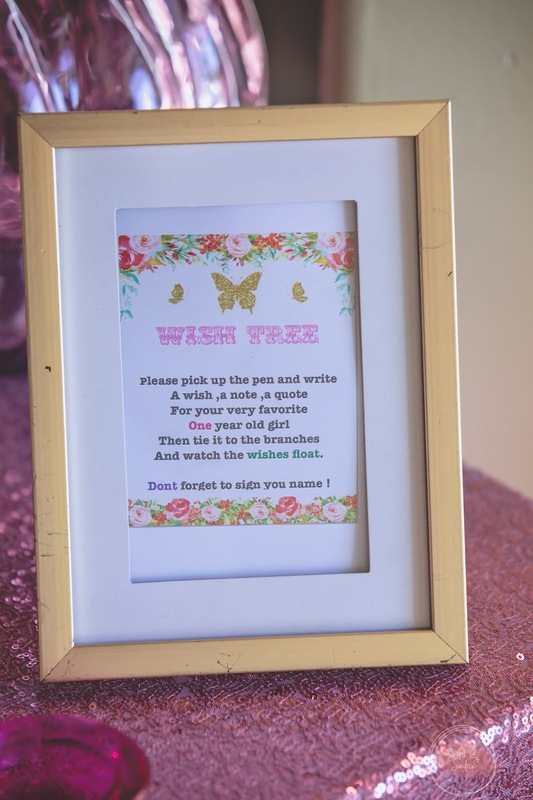 Here is the list of the adorable elements from the party which kept the focus on the birthday girl . 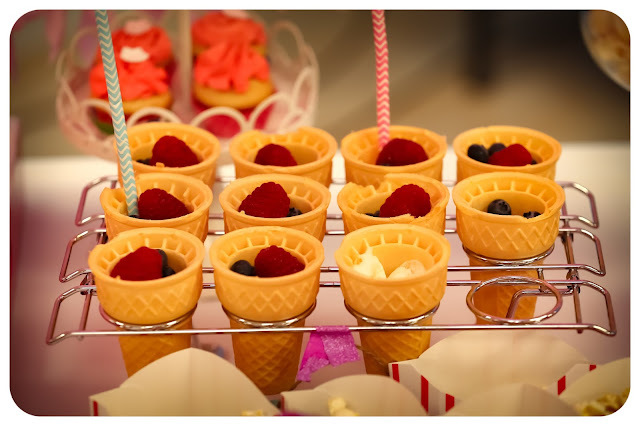 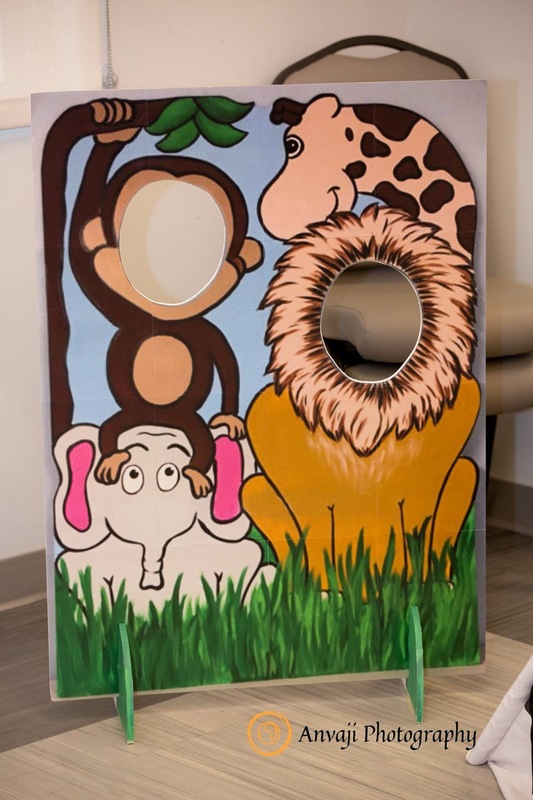 If you’re planning your baby’s birthday party, read on for some ideas which you can incorporate in your own party! 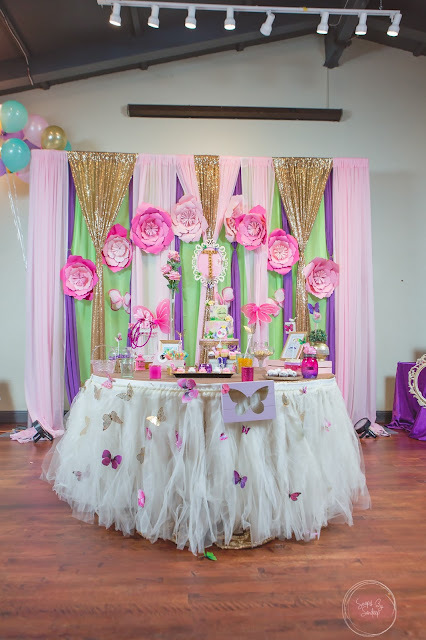 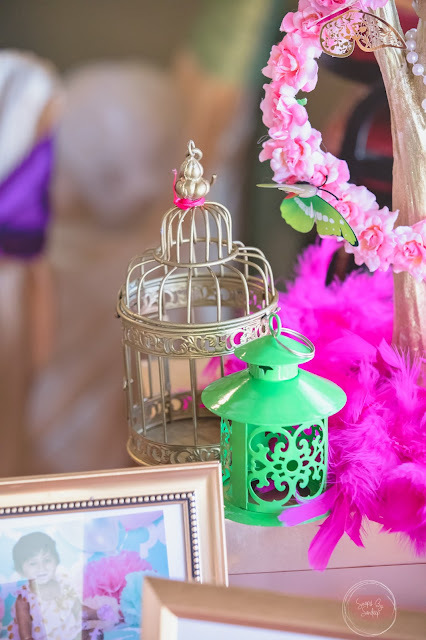 Fun theme decor – Butterfly Theme! 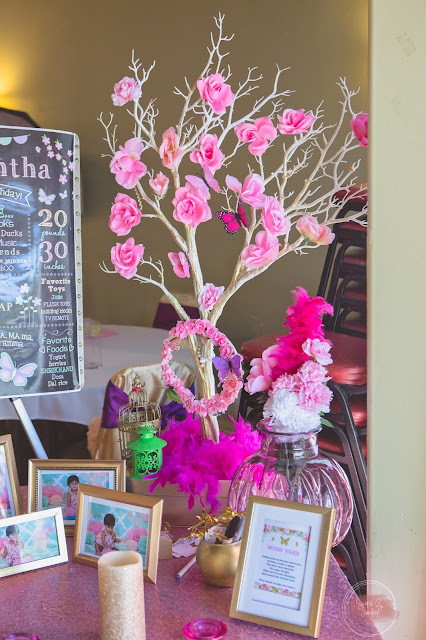 This gorgeous theme saw incorporation of hand made paper flowers (hey, where there are butterflies, there are flowers!) 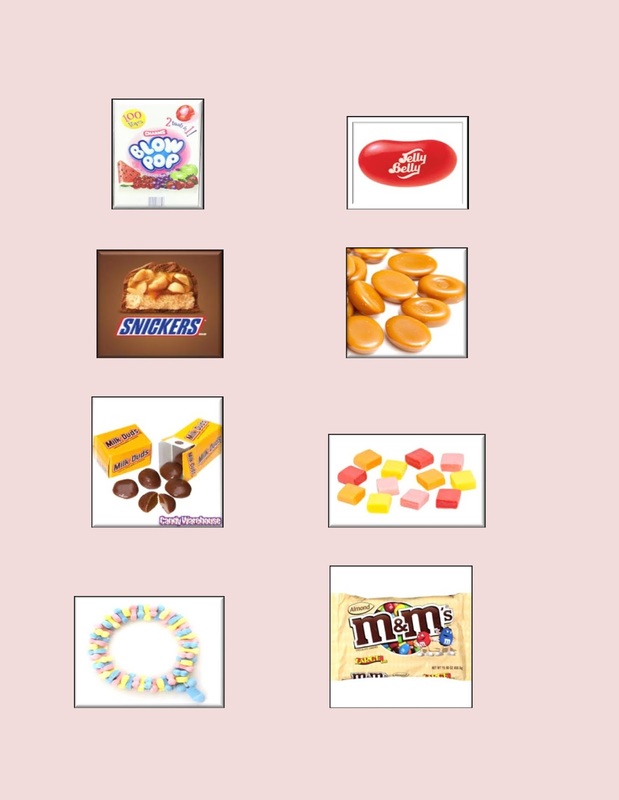 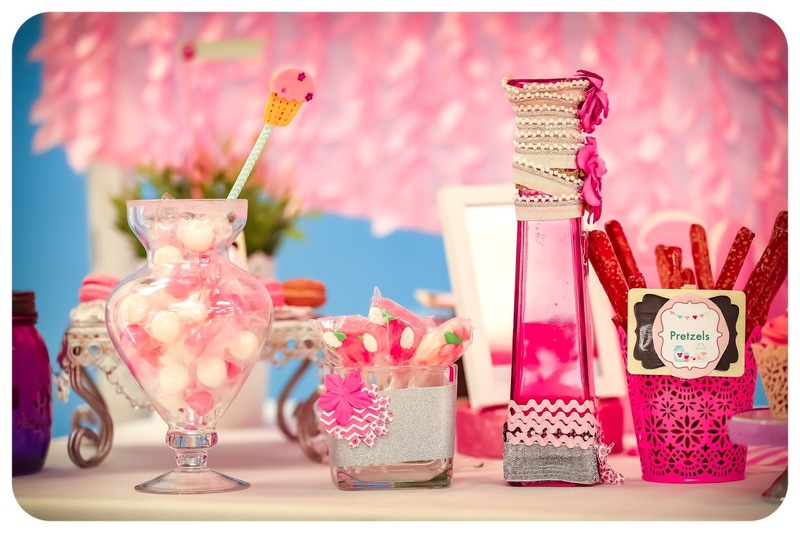 in all shapes and sizes, colorful candy and cutesy element which would delight kids – especially the girls. 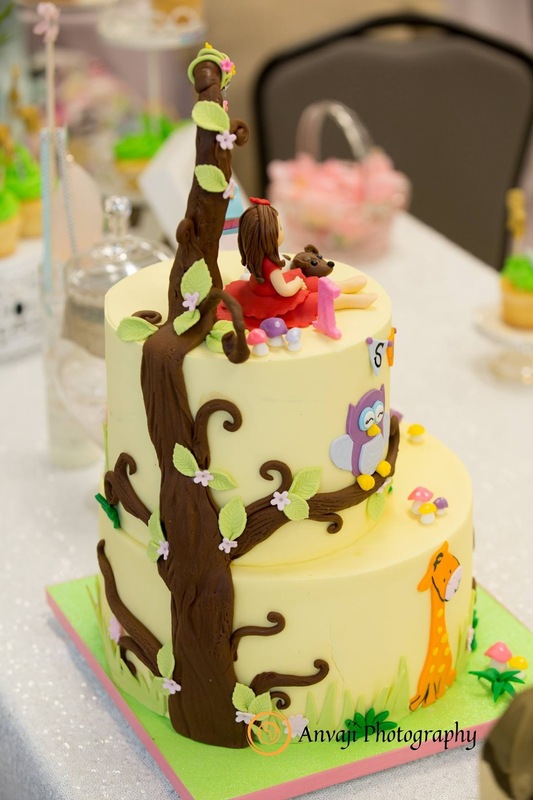 Of course the cake also had to fit into the them! 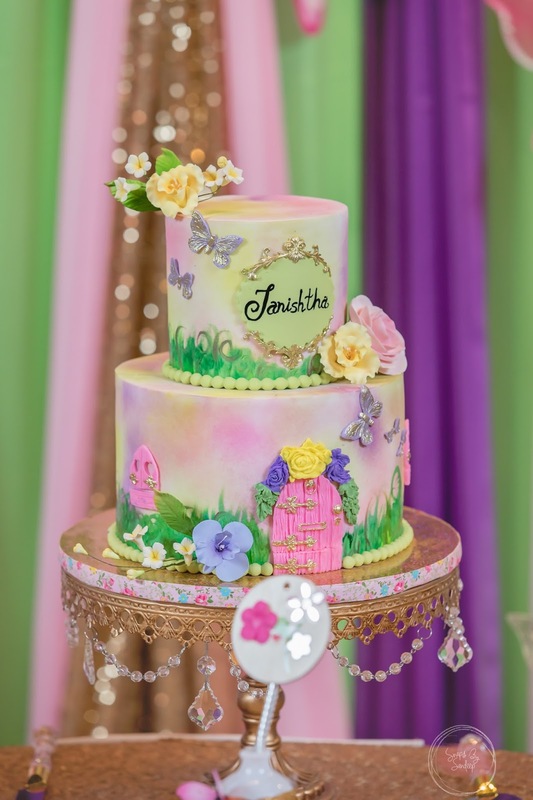 Here’s a look at that gorgeous (and yummy) cake. 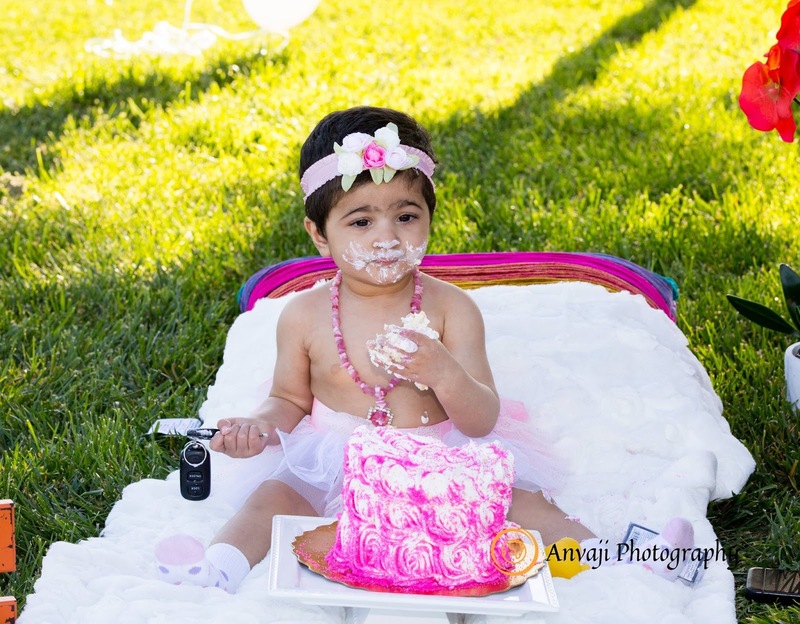 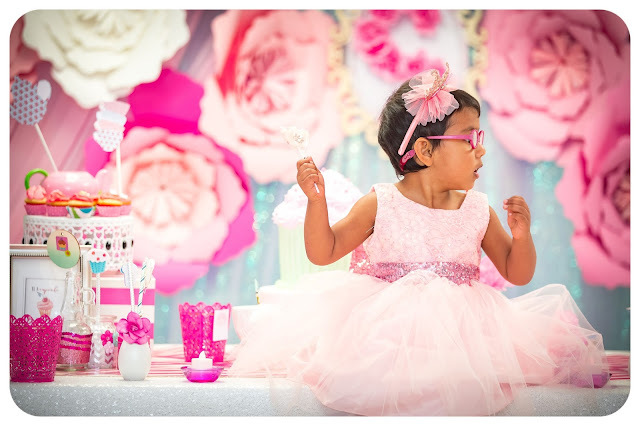 Photographs of Tanu, from her cake smash . Chalkboard talking all about the little Tanu and wish tree with little details and butterflies. Best part for us was the Shadow Box. 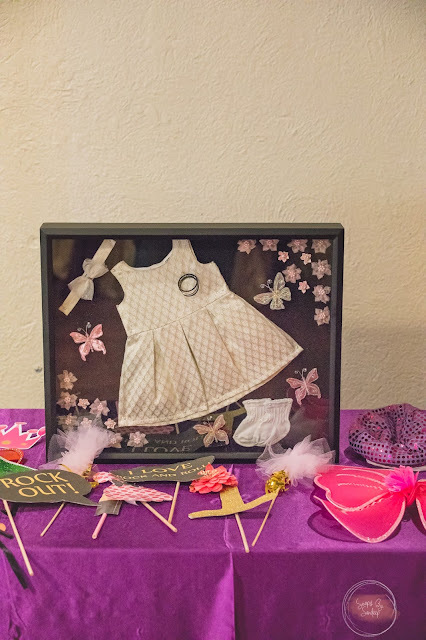 Most precious and how adorable.Mom made this shadow box with all her first born dress. 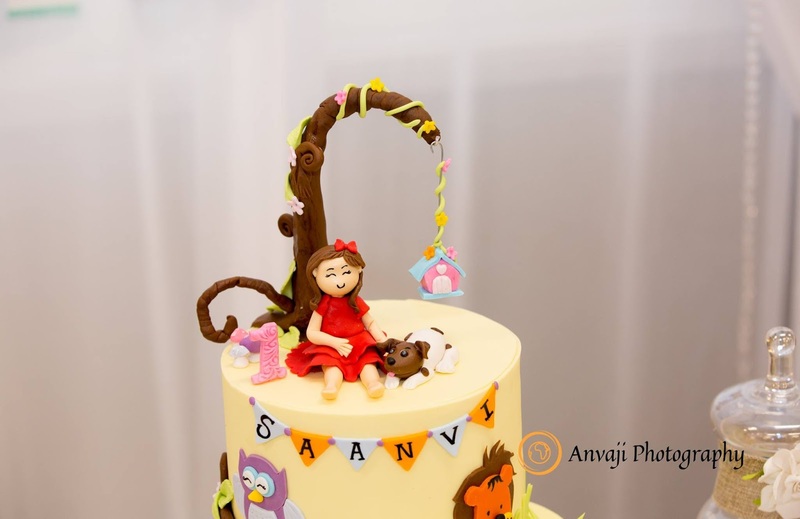 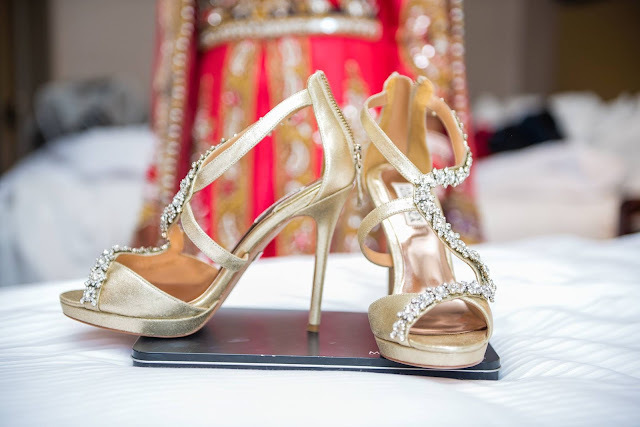 Tanu you are so lucky !She will cherish this all her life. 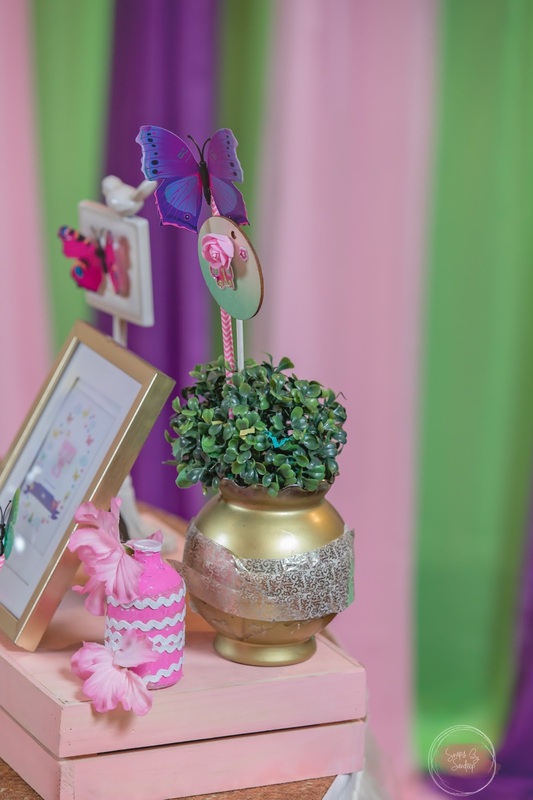 Multi-colored flowers in the colors that one would normally associate with cute little baby girls. 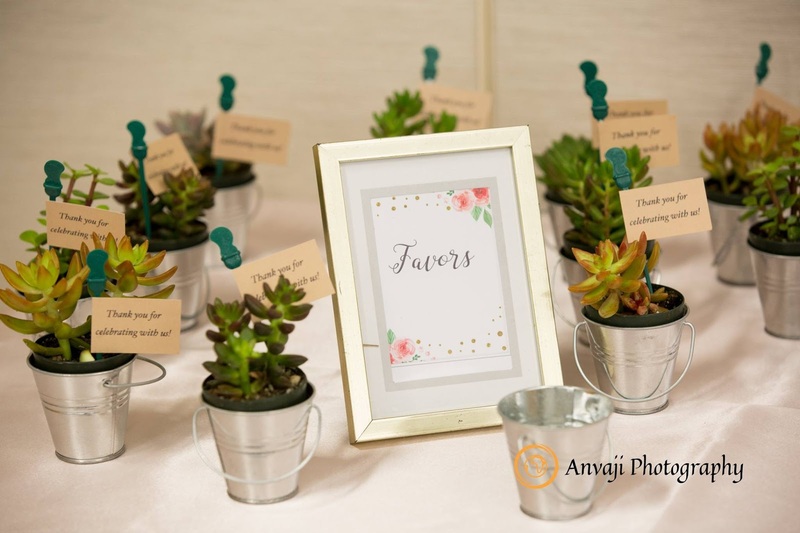 Cute center pieces on every table which brought the theme to life and made sure it was visible at every nook and corner of the hall. This party is SO DARLING! 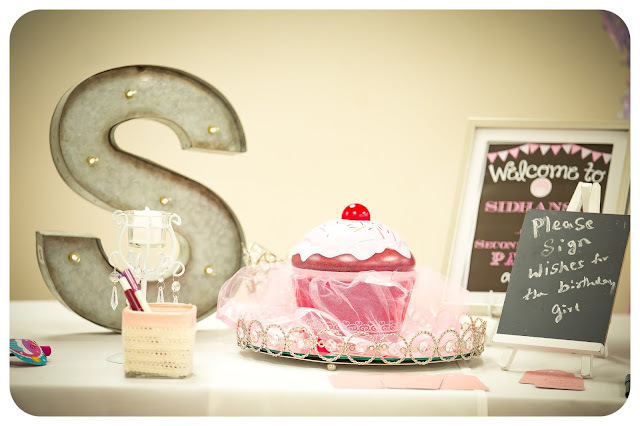 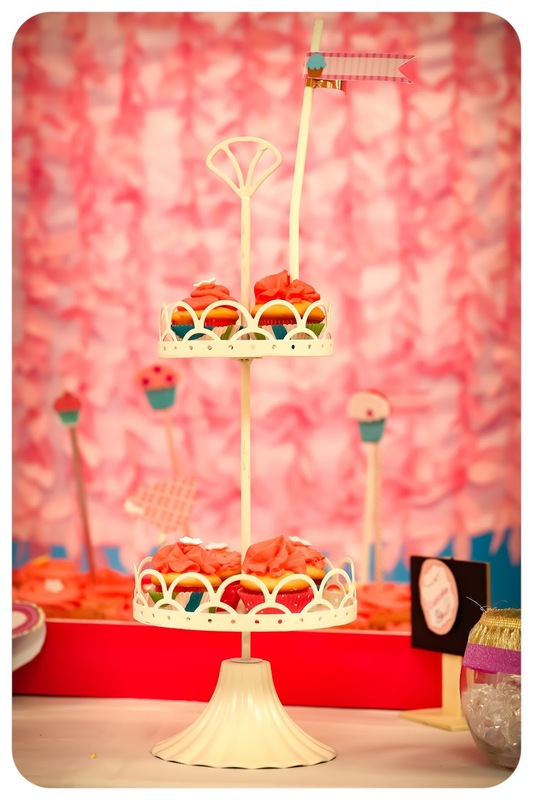 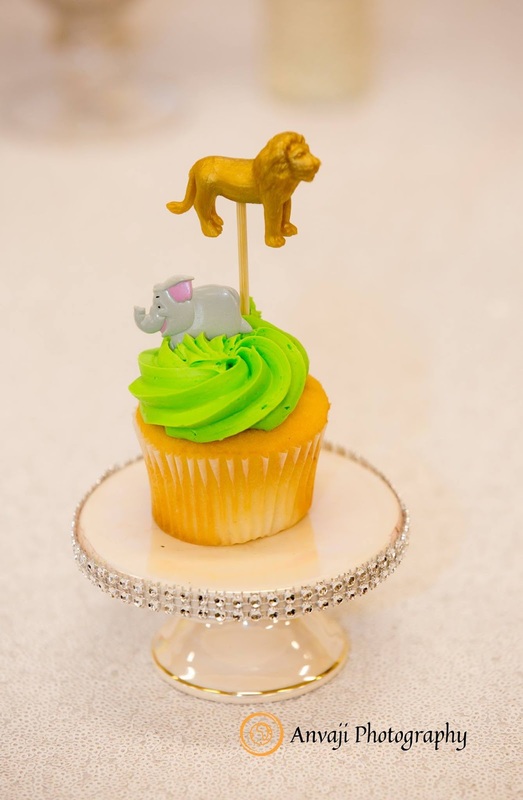 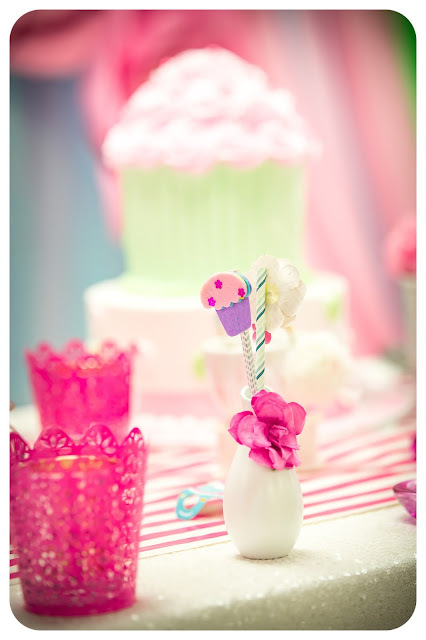 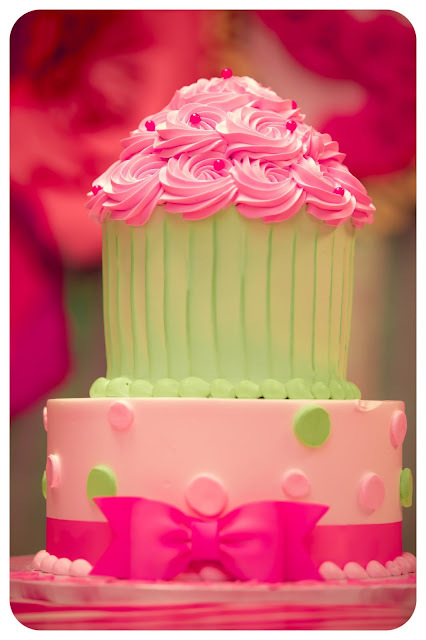 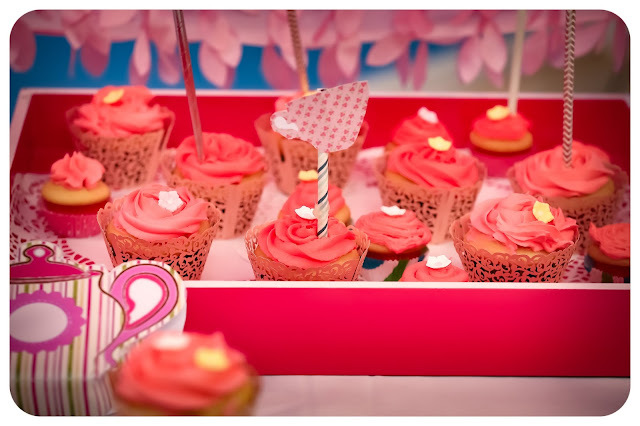 Cupcake themes always bring a smile to my face, but this party is seriously too cute! 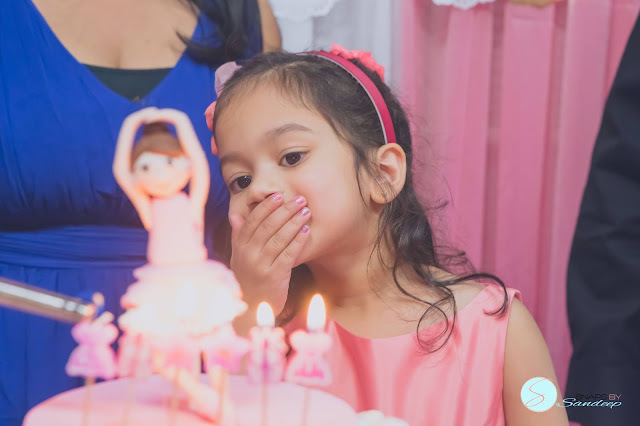 Birthday parties are SO special and We always love to see the themes that parents pick for their little ones’ .A Cupcake themed birthday party just seems like the sweetest party ideas – and pair it up with Tea for Two theme – Perfection! 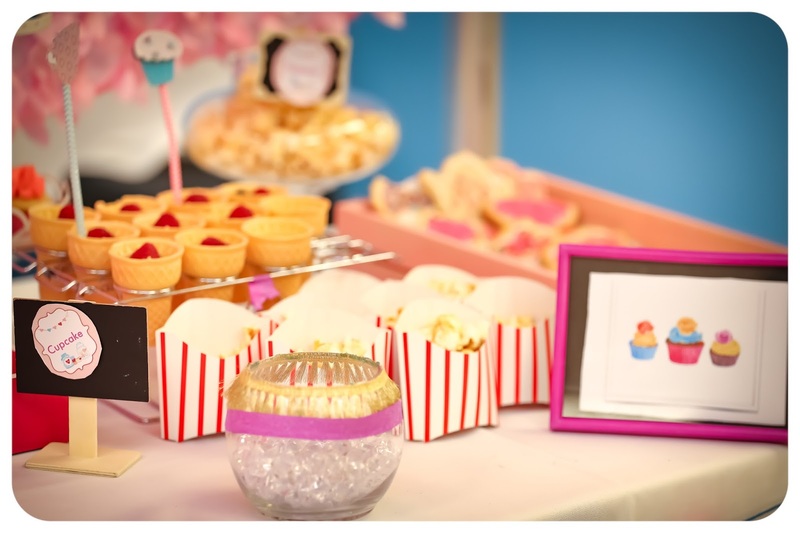 Who doesn’t love cupcake themed kid parties!? 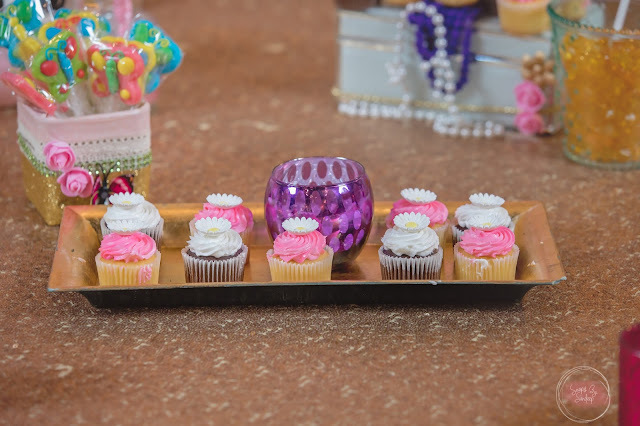 Cupcakes are getting more and more popular these days and they just happen to be a perfect theme for a party too. 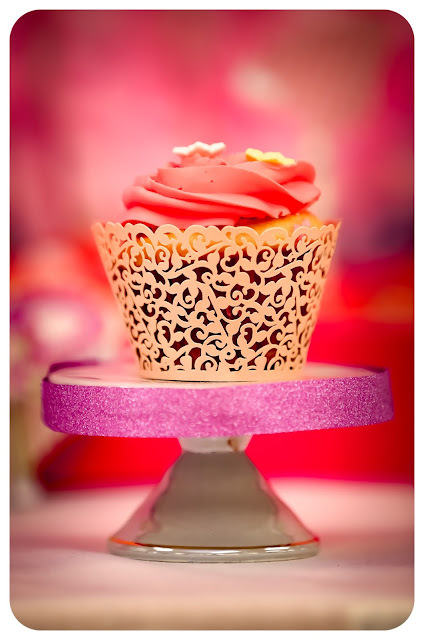 Not only are cupcakes a delicious treat, they happen to be cute as a button too so why not have everything cupcake shaped! 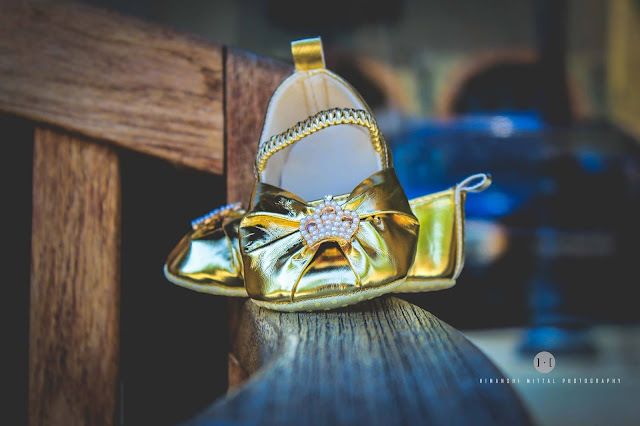 Come fall in love, as I fell in love with every detail. Mom baked everything herself for this beautiful dessert table. ..So much effort! 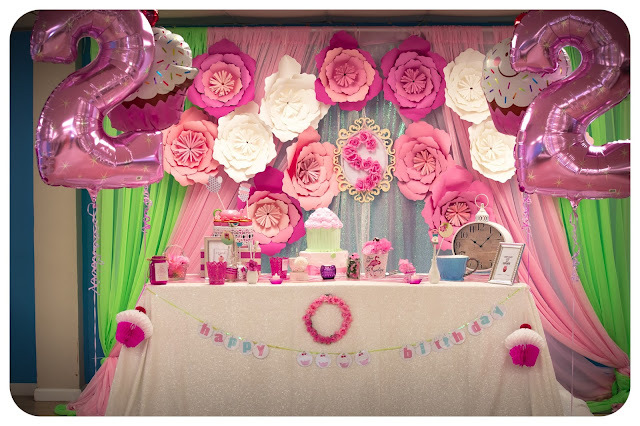 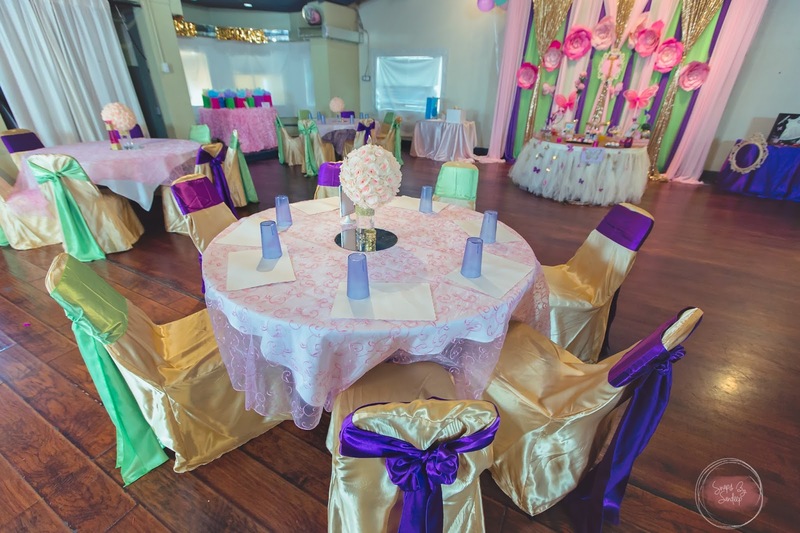 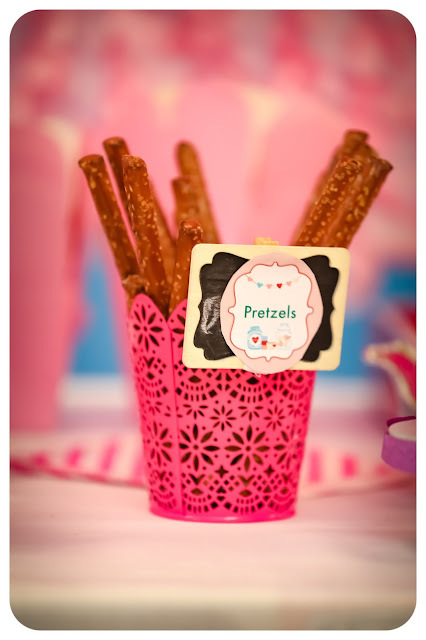 This party would work perfectly for a birthday party, baby shower, baking themed party, or play date. 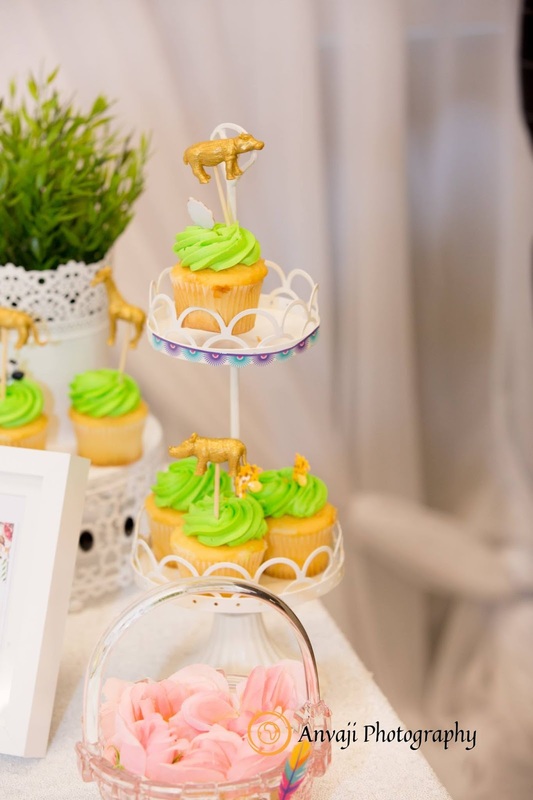 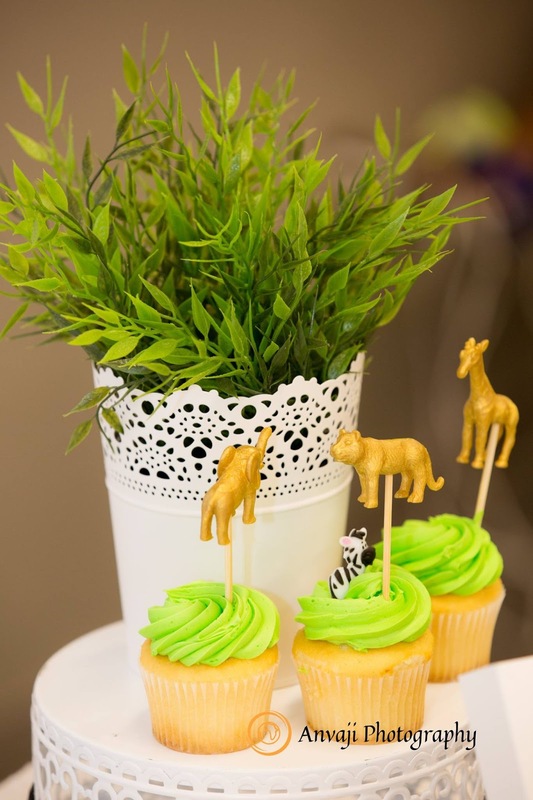 Discover the wonders of a simple garden Themed First Birthday Party! 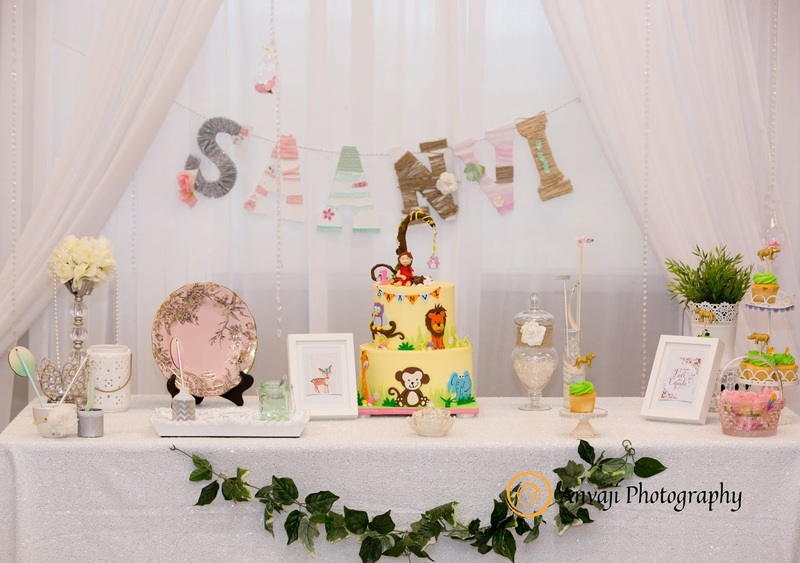 Touches of wood, leaves & even a sweet little animals is a great way to set the scene to wish your little one a happy first birthday! 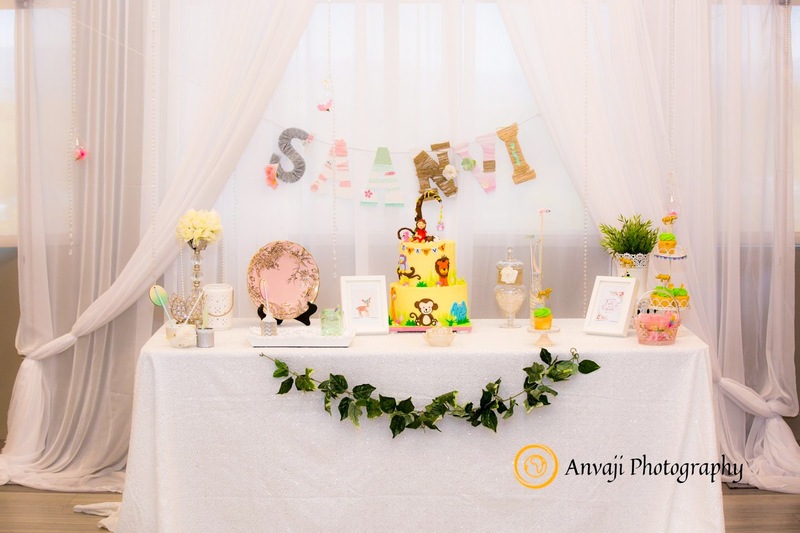 For Saanvi's first birthday Party, his mother asked for a clean and bright decoration. 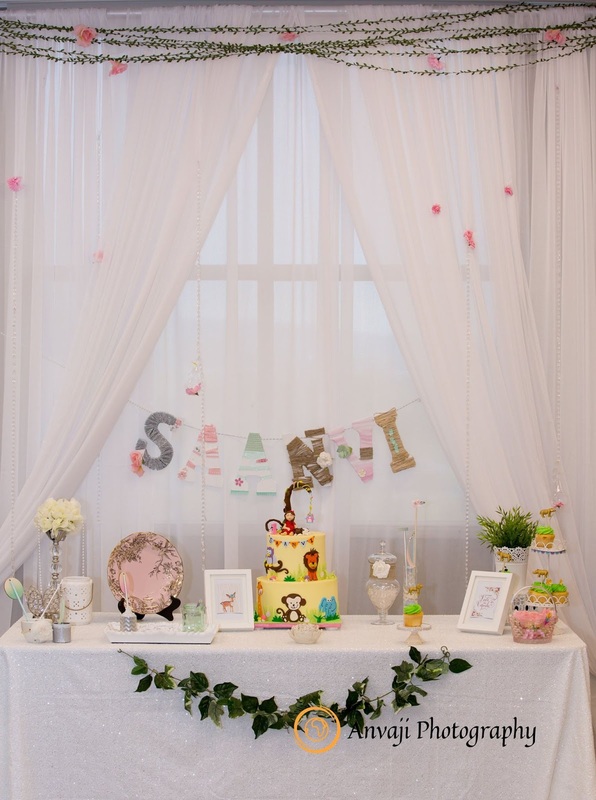 White tones ,light pink and mint green creating an environment of lightness and elegance . 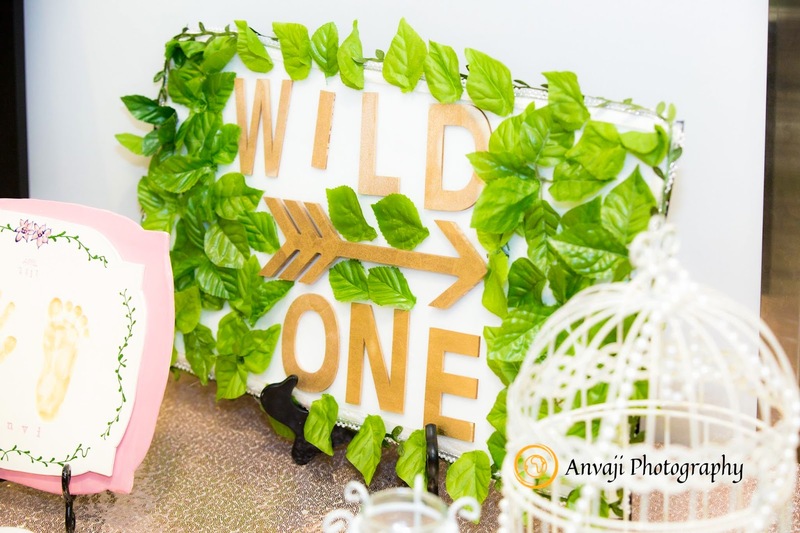 Home made wooden and leaves “wild one” party sign by AZ Event team. Metal buckets brimming with blooms call to mind a French flower market. 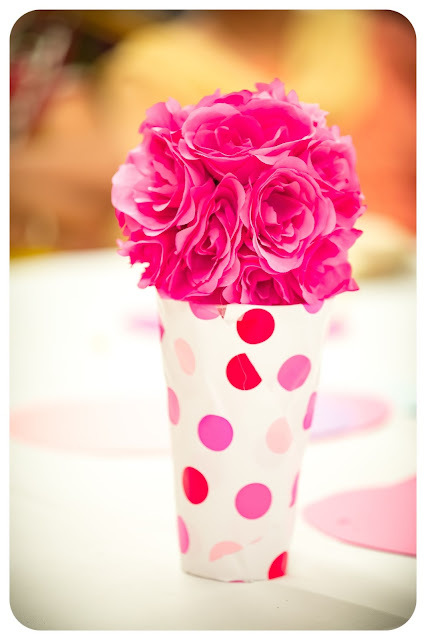 But these bunches, wrapped in colored waxed tissue paper, are not for sale—they’re meant to be given as favors. 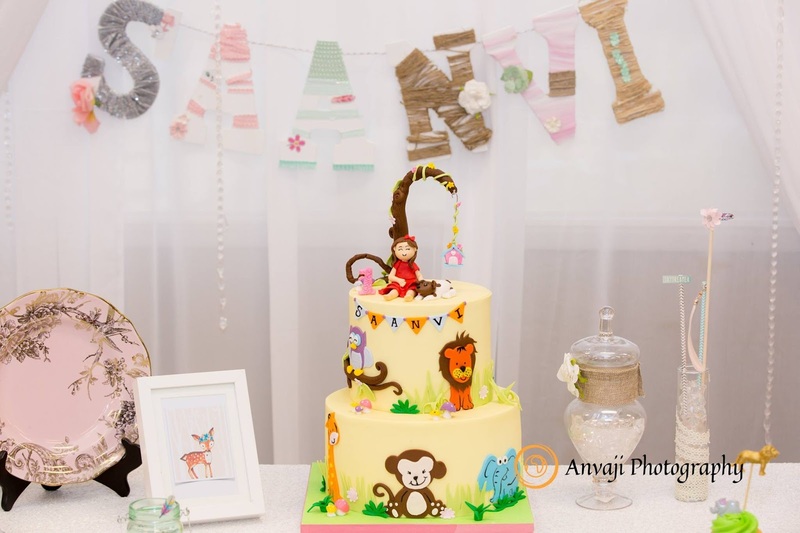 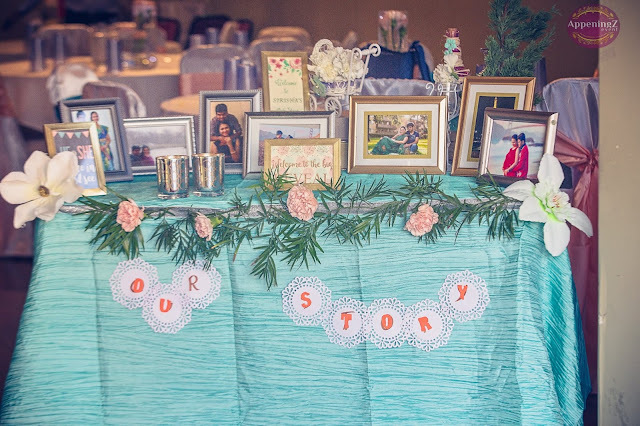 Featuring a lovely, 3-tiered cake alongside, custom favors and elegant decorations; this celebration is truly full of truly memorable details!